Let us go back to 1923, pre-state Israel. Yes, we have always called this land Israel. These days imbecilic "celebs" such as Natalie Portman are criticizing Israel for overreacting against the Arabs. A Jew in England protests that Israel's "overreaction" is damaging the image of Jews in London. (Heaven help us!) So lets' go back to 1923, before any alleged "occupation" of Arab lands, before any Israeli "aggression", before in fact a state of Israel even existed. What was happening then? What was happening then is ...the same as now, only now we are in a better position to defend ourselves. April 1920, Jerusalem. The Jews anticipate an Arab attack, they appoint Ze'ev (Vladimir) Jabotinsky with the task of organizing Jewish self-defense. They manage to repel the Arab attack but 6 Jews are killed and over 200 injured. What provoked the Arabs then? March 1920, two Americans, Jakov Tucker and Ze'ev Scharff, both WW1 veterans, are killed resisting an Arab attack on the Jewish settlement of Tel Hai . Had it not been for the preliminary organization of Jewish defense, the number of victims would have undoubtedly been much greater. Jabotinsky was then arrested by the ruling British and sentenced to 15 years hard labor. The Jewish community was divided, as it is today, on how to respond to the Arab threat. The Jewish community’s socialist leaders hoped they could appease Arab enmity by offering economic cooperation, progress and, prosperity. (Sound familiar?) But the Right, headed by Vladimir Jabotinsky, held a different view. Jabotinsky would later go all over Europe warning the Jews of the impending doom. He was dismissed as a madman. Jabotinsky dismissed the Socialists arguments as childish, and insulting to the Arabs. You cannot bribe your enemy. He said the only thing that would satisfy the Arabs is for the Jews to leave and give up the idea of a Jewish state. The same is true today. What he advocated was creating an Iron Wall. And so he wrote in November 4, 1923: If the Jews wish to remain they must come to terms with this harsh reality. No more illusions. "To imagine, as our Arabophiles do, that they will voluntarily consent to the realization of Zionism, in return for the moral and material conveniences which the Jewish colonist brings with him, is a childish notion, which has at bottom a kind of contempt for the Arab people; it means that they despise the Arab race, which they regard as a corrupt mob that can be bought and sold, and are willing to give up their fatherland for a good railway system. " Jabotinsky's Iron Wall meant a firm and solid self defense. Beyond this point you shall not pass, drawing a line in the sand. This must be our attitude towards all predators who seek to harm us. Whether it is Arab terrorists seeking to cross the border into Israel or a mugger on the streets of New York. We must create our own Iron Wall; military defense, home security systems, and Krav Maga self defense training. Essentially the difference between the Socialists and the Right is as follows: the Socialists believe that violence can be averted by changing the enemy, by explaining to him that friendship with us will bring him many economic and social benefits. The Right believes that is a childish notion, better convince the aggressor that attacking you will be very bad for this health. You must prepare yourself with the best self defense ability, create an Iron Wall to protect yourself and your family. Do not expect to convince him that you are really a nice person who can help him. The years have passed, nothing has changed. Iron Wall. Ze'ev Jabotinsky is the spiritual father of Krav Maga. Born Valdimir Yevgenyevich Zhabotinsky, 17 October, 1880, Odessa, Russian Empire. Own or give as a gift to someone who might benefit from this. 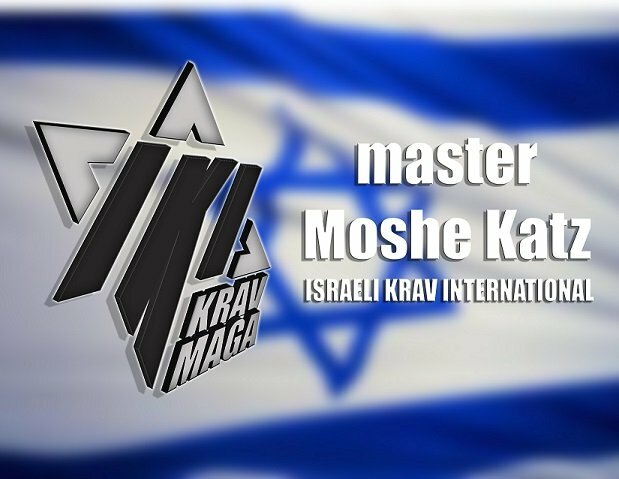 Learn the true history of Krav Maga, and Israel as a fighting Nation. Read - Israel: A Nation of Warriors by Moshe Katz.